Celaena Sardothien is Adarlan's most feared assassin. 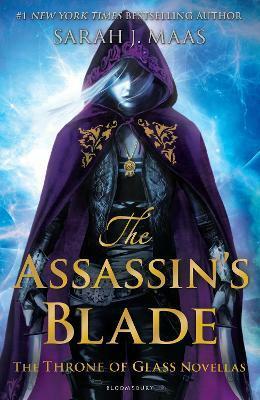 As part of the Assassins' Guild, her allegiance is to her master, Arobynn Hamel, yet Celaena listens to no one and trusts only her fellow killer-for-hire, Sam. In these action-packed prequel novellas - together in one edition for the first time - Celaena embarks on five daring missions. They take her from remote islands to hostile deserts, where she fights to liberate slaves and seeks to avenge the tyrannous. But she is acting against Arobynn's orders and could suffer an unimaginable punishment for such treachery . . .
All five of "New York Times" bestselling author Maas's novellas together for the first time. Adarlan's most feared assassin Celaena Sardothien embarks on five daring missions. 'Adventure fantasy spiced with titillating romance' "Sunday Times". Ages: 12+. Throne of Glass was Sarah J. Maas's first full-length novel to be published, though she already had a large online fan base, many of whom discovered this fantasy world in its first incarnation on www.fictionpress.com, written when Sarah was just sixteen. Throne of Glass was shortlisted for the Waterstones Children's Teen Book of the Year and has sold in fifteen languages, and the highly anticipated sequel, Crown of Midnight, is a New York Times bestseller. You can find out more about Sarah and Throne of Glass at www.sjmaas.livejournal.com.